Prime Minister of New Zealand Jacinda Ardern has spoken out about the mosque attacks in Christchurch. Ms Ardern said has this devastating act of violence is being treated as a terrorist incident. She also confirmed how none of the suspects arrested had been on terror watch lists. Following the attacks, Ms Ardern has now upgraded New Zealand’s terror threat level from low to high. 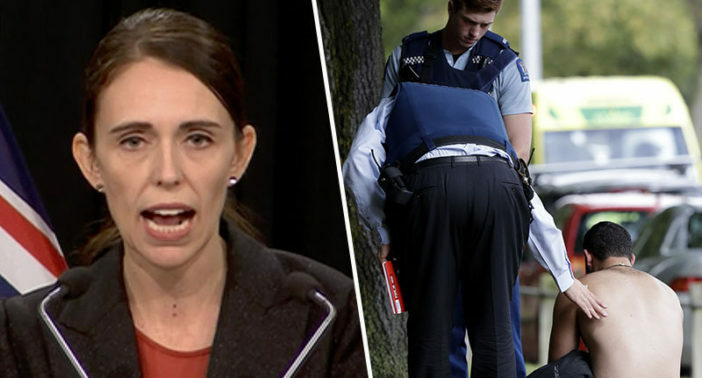 Ms Ardern stated this is ‘one of New Zealand’s darkest days’, emphasizing ‘there is no place in New Zealand for such acts of extreme and unprecedented violence’. I want to send a message to those directly affected…For many this may have not been the place they were born. For many New Zealand was their choice, a place they actively came to and committed themselves to…it was a place where many came to for their safety. A place where it was safe to practice their culture and religion. We represent diversity and compassion, a home for those who share our values, a refuge for those who need it. And those values will not and can not be shaken by this attack. We are a proud nation of more than 200 ethnicities and 160 languages. [This is] the strongest possible condemnation of the ideology of the people who did this. This is not who we are. This act was not a reflection of who we are as a nation. It will take time to heal and tonight our thoughts and our prayers need to be with those affected. As reported by the BBC, this is the deadliest attack in the history of New Zealand, with 49 people killed and at least 20 others injured. A man in his late twenties has been charged with murder and will reportedly appear in court on the morning of Saturday, March 16. Two other men and one woman were reportedly detained close by and had their firearms seized by police. Our thoughts are with all those who have been affected by these horrific attacks.